L´ISOLA PERSA, 2017. CARLOTA DE LA VEGA & JOSE GRACIA. 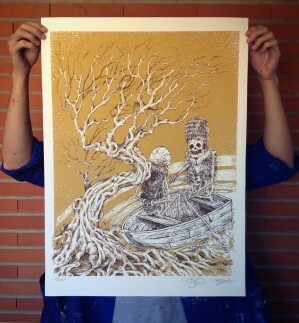 Silkscreen printing, two inks on Canson Edition paper, 250 gr. 50 x 70 cm. Edition: 12 copies. Price: 100€.